Have a question? Chat Live! 3 years & up. Three stages - one puppet! 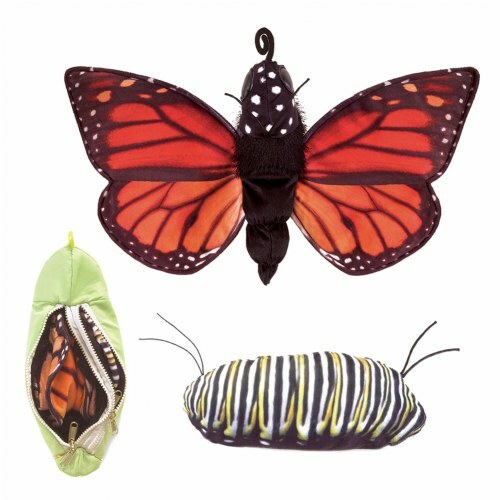 This Monarch Life Cycle Hand Puppet changes from caterpillar to chrysalis to an adult monarch butterfly. Utilize the zippers to tuck and reveal one stage to the next and witness the life cycle of a butterfly unfold right before your eyes! Once metamorphosis is complete, insert your hands into the wings of the adult monarch to flap its wings to simulate flight. 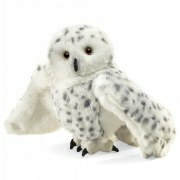 Encourages pretend play and story-telling. Wingspan measures 22".